I am delighted to say that the QOF for 2016-17 is now online. There is no data for Scotland this year as this is no longer being used for payment in Scotland. It is apparently still being extracted and I will consider putting in a freedom of information request. We already have some idea from England about what happens to data after payment is stopped. Briefly things that are considered useful continue and things that are thought to be useless stop). QOF has been in quite a stable state for the last few years so there is nothing much in the way of changes. This year there has been more reporting of the sub-register of heart failure for patients with a diagnosis of left ventricular systolic dysfunction. This has been a subregister for some years and is used for calculating the prevalence adjustment for the indicators relating to the prescribing of ACE inhibitors (or A2IIs) and β blockers. I have made this explicit this year. The general trends continue with an increase in the prevalence of diabetes across the whole of the UK but a decrease in cardiovascular disease, which is generally encouraging. There will definitely be data next year as the QOF is ongoing. What happens after that is not clear. However we are now three and a half months before the start of the 2018-19 year and there does not seem to be any big plan around so personally I would predict small changes only with bigger promises for later. One thing that the QOF has brought into General Practice is that coding matters. From the beginning of QOF it mattered because of payments. These codes were then used by practice systems for QOF reminders and for more general clinical reminders. Now it is not only payments under QOF and Enhanced Services that use the codes but also other extractions for parts of the contract or central analysis. Currently most practices use Read codes version 2 which contain up to five letters to express a code. From next April these will disappear to be replaced with Snomed CT. The codes for these are much longer and unlikely to be remembered by clinicians from day to day in the same way that the Read codes were. Practices using version 3 of Read Codes (also known at CTV3) have a bit longer before their transition. A lot of the work has already been going on in the background. Snomed CT can, at least partially, trace its roots back to Read codes and so the translation is simpler than it might otherwise have been. The list of coded data and descriptions seen on practice systems will not look substantially different in April next year. What will look quite different is the way that these codes ("concepts" in Snomed jargon) are linked together. Read codes are a bit of a mess in some areas and Snomed is generally rather better. This is largely due to the rigid structure of Read and the ability to revise and improve Snomed as time goes on. Things can be clarified and improved over time. This does lead to a very different hierarchy in Snomed. A search for asthma and all of its child concepts will produce quite different results in Snomed than Read and this is what I wanted to explore. In my Map Explorer you can type in a code or its description and see which of its child codes no longer apply and which new concepts will appear under it. 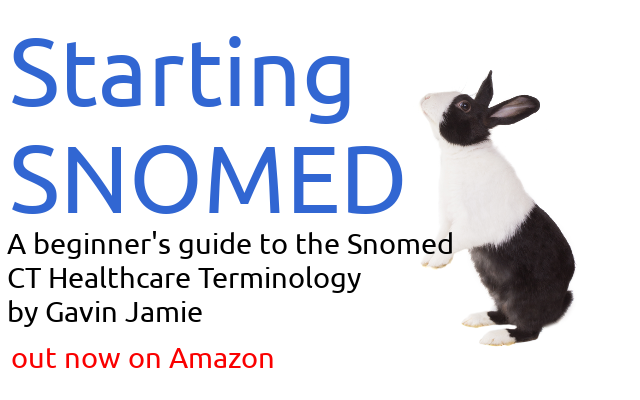 It is entirely based on Read codes so does not actually include any of the extra concepts supplied by Snomed CT. The simplest way to use the search is to type words from the code description into the search box. You can also type in the read code but the format is fairly specific. It needs to be five characters (if there are less they can be replaced by dots) then a dash, then two numbers. The last two numbers are for the various different terms that can be applied to each read code. They are referred to as synonyms but in practice can have different meanings. For example "Cigarette Smoker" is 137P.-00 but 137P.-11 is "Smoker". They are regarded as synonyms for Read code but their different meanings are separated in Snomed CT. In Snomed a cigarette smoker "is a" smoker but not vice versa. I have largely written this as something I am interested in exploring myself and I am aware that it is a little rough around the edges. The search in particular is based entirely on MySQL full text search as I don't have the knowledge or expertise to do any better. Feedback very welcome. If you would like to know more about Snomed itself there is loads of fairly technical stuff on the official Snomed site. I am trying to get some more information together for the non specialist.